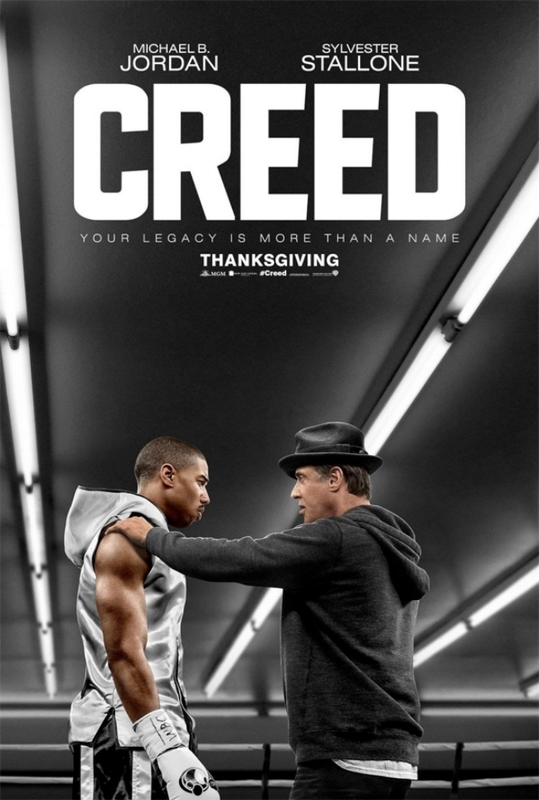 I just went 12 rounds with the new movie “Creed,” and boy, are my eyes tired. If you can go the distance with this collage of cinematic nostalgia, then you just might be a contender. Donnie Johnson (Michael B. Jordon from “Fruitvale Station“) didn’t know he was a Creed until Apollo Creed’s wife, Mary Anne (Phylicia Rashad from “Good Deeds”) picks the thirteen year-old up from Juvenile Detention. He’s always been a fighter, and that’s all he’s ever known. His father died before he was born. His mother died when he was young and he went into the system. Mary Anne takes her husband’s indiscretion into her home and makes a proper young man out of him. But at 30, Donnie sneaks off to Tijuana most weekends to box and battle against his past. When he gets a big promotion at his cushy office job, he sees a path he has to step away from. Since nobody in Los Angeles will train him, Donnie goes to Philadelphia and looks up Rocky Balboa (Sylvester Stallone from “Balboa”), who runs Adrian’s Restaurant. The movie pretty much telegraphs its punches from there. Director/Writer Ryan Coogler (“Fruitvale Station“) does a fine job navigating this iconic landscape. He should be commended for dovetailing his story into a world with other characters whose backstories are already legendary lore. I was ready for the chicken chasing and roadway racing, along with those musical cues that hit a familiar chord. There is talk of Stallone getting an Oscar nod for his performance, but I think most of that is coming out of his camp. He is good and does great work in the kid’s corner, but the range of the character and the actor both come up short. Rocky goes through some traumatic things in this movie and he still shrugs them off. I saw a man in pain; however, I did not feel his pain or see it in his performance. I expected to see Rocky knocked down by life and to be afraid he was down for the count. Maybe like most fights, this one can’t live up to the hype.